As elearning designers, we don’t always have the final say on what goes into the courses we build. That level of decision-making is usually left up to our clients or stakeholders. This can result in information-heavy courses, making it more important we provide learners with supporting resources outside the course. A recent study by UC San Diego suggests that knowing the ending of a story may actually help us enjoy the story more—not less—than if we didn’t know the ending. Evidently, knowing the story ahead of time creates a greater comfort level that enables us to better enjoy the process and actions leading up to the ending. If you include the course menu or slide titles, then you’re already creating a kind of course spoiler. Headings and titles help reassure learners where they are in the course, and where the course is headed. That visual reassurance can also be repurposed into a job aid. The only thing missing is a concise, actionable summary of those headings. Let's look at an example. One of my favorite job aid spoilers comes from Mackie. Mackie makes pro audio equipment. That means their user manuals are designed for musicians—the only group with shorter attention spans than sales people. If you’re Mackie and you’re selling expensive audio equipment, you have an interest in making sure your customers get the most from their purchase. Mackie gets it, and most of all, they understand their audience. How? The user manual then drills down into audio settings, options, tutorials and troubleshooting. Question: Does this one-page job aid spoil the rest of the manual? Does it invalidate the instructional and technical design efforts that went into creating the other 99% of the manual? No way! The manual’s even more valuable because users now have a working context for how those details apply to their specific needs. And that’s exactly why this model can help us design better courses. Seems so simple, right? But how many e-learning courses provide handouts or job aids that summarize just what the learner needed to know to begin working? The good news is Studio '09 makes creating these resources really easy. Using Presenter 09’s Attachments feature, you can easily insert one or more spoiler job aids into your course. The attachments can be .pdf, .doc or .txt files and can be accessed at any time during the course. Attachments can be anything you like: lists, how-tos, dos and don'ts or just a chapter or course summary learners can print and take with them after the course. Engage makes it easy to condense course slides into concise interactions. Using any of the 10 interactions, you can quickly highlight the most relevant points in your course. What’s cool is how you can publish Engage as a standalone interaction.This means you can share the files across your corporate intranet, company web site or learning portals. Is this something that could work with your courses? 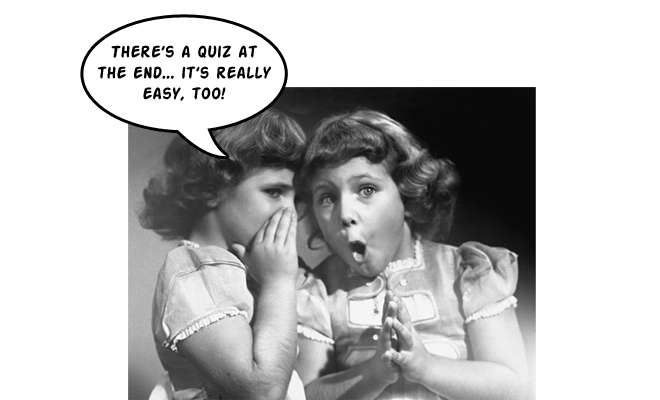 Would your stakeholders support giving learners a spoiler-type job aid at the beginning of the course? At the end? Is there a difference to receiving job aids at the beginning of a course versus receiving them at the end of a course? And if you’re already doing something like this, how about sharing some examples with the community? Post your links in the comments section below, or in the forums. Please I need some Help with printing certificate at the end of the training. When you finish a training and pass the test appear a windows with printing option. At this moment you can print the certificate typing your name, but continue open the same windows with the same print option. For that other student in the same machine can print another version of certificate. How can I set the windows to close after click print option. I know that after click finish the windows close, but I need close when click print. Please help me. Great example, Michael! The pyramid interaction is ideal for Bloom. Adding it to the example list:-) Thanks! I seem to get the 404 error when I clicked on the Bloom's Taxonomy Job Aid link, anyone else faced the same problem?